I actually hadn’t planned to make travel videos. But in 2015 I was contacted by a friend who leads trips to Peru. She asked me to come on her next trip and be her official videographer. I’d gone there with her twice before and she was impressed with my travel photography posts. In exchange, she’d reduce my trip fee, pay for extra meals, and pay my intra-country airfare: a total of about $2,000. Fortune favors the bold. Just after I agreed to the Peru gig, I found a travel video workshop in my town. I enrolled, learned what I could, and produced video of Peru that my friend uses on her website to this day. That success gave me the idea to video some of my bicycle travel. Since 2017, I’ve biked in Hawaii, Austria, and Italy. At home, I produced a five-minute video, which I then sold to my traveling companions. 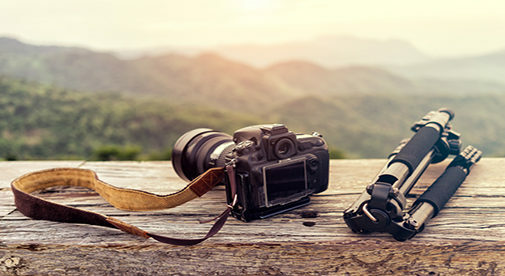 Most stock photography websites also accept video clips. Because of the popularity of videos on social media, editors are using them more and more frequently. It’s easy to add your video to a stock website, you just have to follow the site’s guidelines. They usually list what is trending at any given time so you have an idea of what sells well. Most businesses in your town have websites, and if they don’t use video on them they are losing money. People are 65% more likely to buy a product or service if they watch a video advertising it. If it’s a restaurant, a simple video of smiling diners eating nicely presented meals and clinking their wine glasses makes viewers want to experience that, too. Similarly, a spa might entice customers with a video of someone enjoying a hot stone massage. I have made video with my Sony video camera and also with my smartphone. The workshop I attended gave me the basic tools to get started. I also purchased a video editing program for $50, but most laptops come with free editing software. There are endless places where you can pitch your video ideas but an easy one to start with is your town’s chamber of commerce (COC). Make a three-minute video using the theme of “why I love living in [your town].” Or a list like “Five great things to see and do in [your state].” Video the cool things in your town, like a favorite pub or coffee shop, colorful gardens or farmers’ market, sports events, or historic architecture. Then put the clips together in a video program and add some captions and upbeat music. You can then show this to your COC’s decision maker. Once you have that gig, you can go to others cities within your tolerable driving range and repeat the process. You can even ask what sites the COC would like included in the video before you produce it. It’s a big world out there, so grab your camera and get traveling.